We’ve cleared out one wall of the shop, to add some improvised shelving and organization. 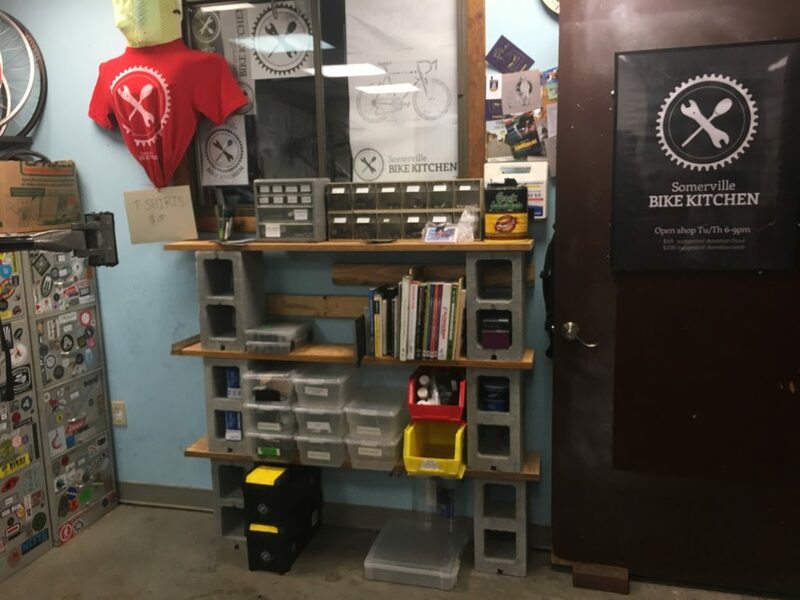 Our bike repair library, small parts bins, and mobile tool kits will now exist in a more accessible location, and our tabletop workspace is a lot larger! Thanks to our staff member Luis for putting this together!